The Writing Center aims to assist faculty and, with student approval, can share information about tutorials and drafts. Faculty Feedback Forms: A tutor can fill out a form describing what the student worked on during the session and what still needs to be addressed. Confirmation of Visit: Tutors can stamp and sign student assignments to confirm that conferences took place. 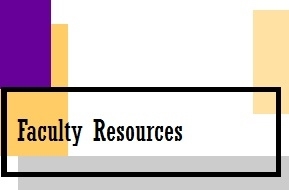 Assignment Support: Faculty are encouraged to email assignments to the Writing Center. This enables tutors to tailor conferences to best help students meet specific requirements. Google Docs: Faculty can view drafts and tutor feedback from the Online Writing Center by requesting students or tutors share the Google Doc with the faculty member’s email address. This gives the faculty member access to the work the student and tutor have shared. Please email writingcenter@brenau.edu with any questions or for course support.